Why is hay important for rabbits? || Notes on rabbits EXCELLENT health. Perhaps you are thinking there is no importance of hay for rabbits in their diet, but you are wrong because hay is so important for rabbits that 80% of a rabbits diet must consist of just hay. There are many reasons for rabbits to have plenty of hay in their diet and I have tried to explain as much as I can in this article. Below I have answered a few basic questions about rabbits diet correlated to hay. If you are willing to order hay I suggest you go read this article here >>> Best rabbit hay. 1 Grass or Hay for rabbits? Understanding your rabbit’s diet. 2 Rabbit dental health: How to keep rabbits teeth short? 2.1 How to stop your rabbit from chewing on everything? 3 How to encourage rabbits to eat hay to remain healthy? 3.1 How much hay does a rabbit need daily? 3.2 Can a rabbit eat too much hay? 3.3 Can rabbits survive on just hay? Grass or Hay for rabbits? Understanding your rabbit’s diet. Both grass and hays have similar health benefits for your rabbits. Both grass and hay contain plenty of fiber which is vital for a rabbit’s proper digestive movement. Fresh grass contains more nutrition compared to hay. Due to many reasons, a house rabbit owner may not have access to fresh grass every day or perhaps not at all. That’s when a rabbit owner must provide their rabbits with hay as an alternative to grass. Hay is simply grass which has perhaps dried out in the sun or naturally, and lost most of its nutritional values because of the drying process. 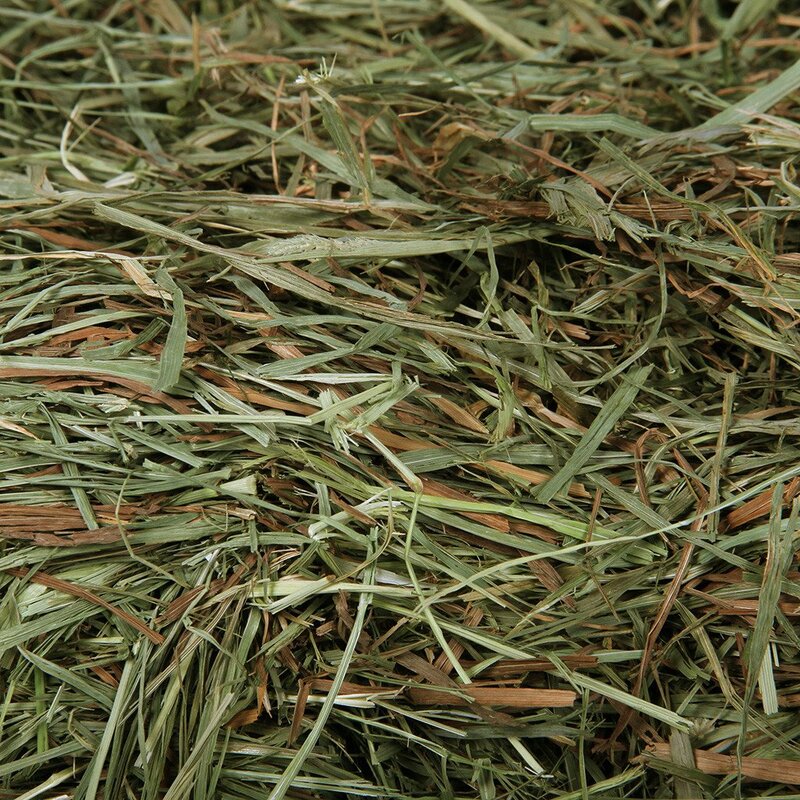 But grass and hay they contain the same amount of fiber which is the most important component for a rabbits diet. Therefore you must feed your rabbits any one of them depending on which one is most easily accessible for you. As hay does not contain sufficient nutrition that is when fresh green vegetables will come in to play. read here to find more about best rabbit food. Fiber is crucial to rabbits for proper digestion and bowel movement. Rabbits naturally have a very sensitive stomach. A diet with higher protein or calcium can cause several health concerns. Too much protein will cause obesity in rabbits. Therefore it is suggested that an adult rabbits diet should have more fiber and less of other components. So rabbits chewing and eating on hay all day can reduce risks of gut stasis in rabbits and stop them from bloating. It is known a rabbit can eat the equal amount of hay according to its size. If your rabbit weighs 3 lbs then it must consume 3 lbs of hay daily to remain in good health. Rabbit dental health: How to keep rabbits teeth short? An adult rabbit has 28 teeth which keep growing throughout their life. To ware them off a rabbit requires to continuously chew on rabbit hays. As well as grinding on dried leaves and branches can help rabbits to keep their teeth short and prevent them from dental issues. A rabbit has a total of 28 teeth and 6 incisors. the incisors are the most visible of all. Nevertheless, all of their teeth continuously develop during their lifetime and can cause extreme pain for your rabbits. As a rabbit guardian, you must not permit that to happen and that is why you must give your rabbits hays to munch on all day! How to stop your rabbit from chewing on everything? It is only normal for rabbits to have an urge for chewing on everything. Therefore there are so many ways to prevent your rabbits from shredding things in your house. You may want to know how can you do that? The easiest way of all is to provide your rabbits with enough hay. So that your rabbits will chew on hay all day and have no more urge to destroy things within your house. Hay allows your rabbits to keep them away from boredom. It is natural for rabbits to try foraging. But house rabbits can’t do that much except only with hay. So hay keeps them active and limits them from getting bored. As a result, you get a lively rabbit. As well as you can buy some rabbit chew toys to keep them busy. How to encourage rabbits to eat hay to remain healthy? Often times rabbit don’t want to eat hay. It is definitely not so common but if that is the case with your rabbits, it is time you consider putting some hard work to encourage and create some interest within your rabbits to eat hay. If they are not used to with chewing and swallowing hay, in the long run, they are going to get a serious illness. So if you don’t do the small work now, might be later you have to visit the vets with your cute bunnies. Trust me finding a vet for rabbit is not easy and it can be quite expensive too. First of all, if your rabbits are not having plenty of hay. Try to reduce the amount of other dry foods in their diet. If they consume too many dry foods they will lose interest in feeding on hay. Because hay is dry food too. As well as keep plenty of water close to your rabbits. Find the best hay for rabbits which is clean and not dusty. A rabbit will not like dusty hay. Buy hays in small packs and buy several varieties of hay. So that now you can test with different varieties of hay. Introduce different hay to your rabbits and figure out which kind, flavor and brand of hay your rabbit eats the most. Every rabbit is different and their behavior is inconsistent. So it takes some time to figure out which is the most suitable hay for your rabbit. So if they like a specific brand of hay, next time you order online or go to a pet shop and just buy that particular hay for your rabbits. Try mixing hay with fresh greens and pellets, so that the rabbit will eat hay while having his meals. This is an easy way to give your rabbits the amount of fiber required in his diet. Do not skip on the video I have shared below if you are truly struggling to feed enough to your rabbits. How much hay does a rabbit need daily? The daily consumption of hay for a rabbit depends on the size of your rabbit. However, a rabbit must have access to good quality hay all day long and at any time. Usually, a rabbit will eat hay equal to its own weight daily. the proper diet for a rabbit must consist of 80% hay, 10% veggies for rabbits to provide nutrition, 5% healthy pellets, 5% treats to keep your rabbits in good shape. Can a rabbit eat too much hay? No, a rabbit must eat hay only according to its bodily requirement. Hay benefits rabbits health in many ways but it doesn’t mean they can eat unnecessarily too much. Can rabbits survive on just hay? Rabbits may survive on just hay but the fact hay is only dried grass and the presence of nutrition required by a rabbit is minimum in the hay, as a result, your rabbit will get malnutrition. Although a rabbits diet requires 80% hay, they need to absorb nutrition from other fresh greens and pellets. So only feeding hay to your rabbits is unhealthy for them. For more read here, >>> What to feed your pet rabbits?